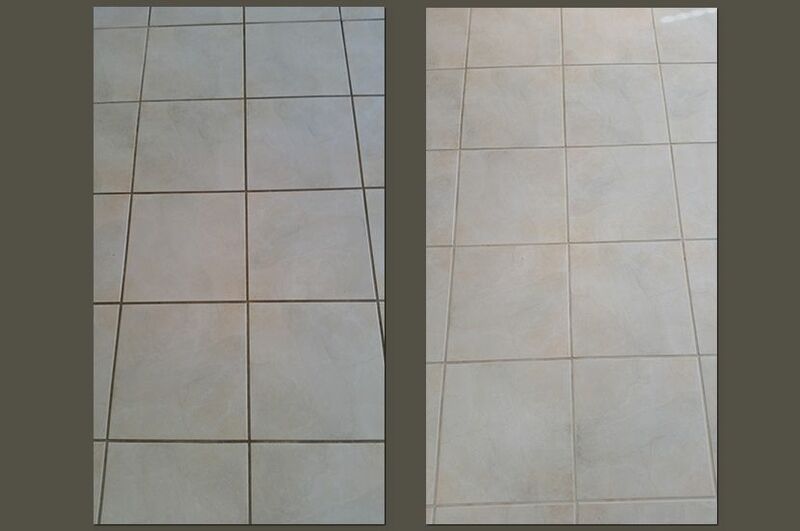 After 25 years of use, the porcelain tile and grout in this Rancho Bernardo home had become very dirty, as you can see in the image on the left. Although the homeowners were meticulous with regular sweeping, mopping, and occasional scrubbing, the floors just got to the point where they never really looked clean. The reason for this problem is that dirt, mold, grime, and other pollutants had become trapped in and under the grout. Since grout is porous, cleaning only drove the unwanted substances in further. First, we pretreated the tile with our special baby/pet-safe, ecofriendly professional cleaning solution, thoroughly scrubbing the area to break down all the dirt, mold, grime, and other contaminants. Then we implemented our full-service tile and grout cleaning process, providing the highest level of cleaning possible by pressure washing and flushing out pollutants from deep within the porous surface. These homeowners were relieved to see the results of our work, shown in the image on the right. 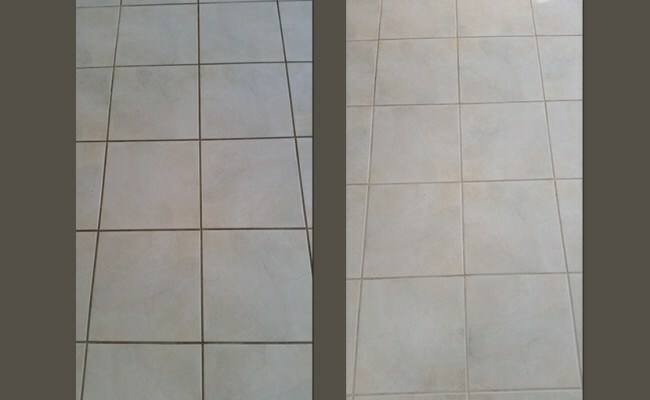 We recommended our grout sealing service so that the like-new appearance of the floor would not be prematurely diminished by new dirt and bacteria and so that regular cleaning would be much more productive. Another option would have been to apply an epoxy grout stain, which acts as an antimicrobial agent and gives the grout a nice, uniform appearance. As you can see, the grout already had a clean, uniform appearance after our deep-cleaning process, so the homeowners decided to go with regular grout sealer. Learn more about professional tile and grout cleaning services by watching this short video or visiting our Tile and Grout Services page. Homeowners each have unique tile and grout cleaning needs. A highly qualified professional tile cleaning company will have experience working with homeowners to ensure the cleaning quality that meets the highest standards. We provide residential and commercial tile cleaning services in the San Diego area. Contact us online or call 619-246-0240 today to discuss your tile and grout cleaning, sealing, and color sealing options.